Anybody that is in the inbound marketing business(whether to serve a commercial interest or for personal brand marketing) understands that building links is a necessity. While social media is the chief form of marketing for today’s online scope, you cannot completely ignore the absolute influence that search engines have on the web. In a space where “anyhow” links are not only worthless to your site’s search rankings, but are potentially harmful, you need to be tactical about how you go by building links to your site. My blog post on how to effectively building inbound links will show you methods you can employ to ensure that you’re not only getting the right links pointing to your website, but you’re also getting them without wasting so much time. Before you continue, you might want to read my previous article on How to Attract Inbound Links to Your Website. Submitting your website to online directories is one of the top ways to get high quality inbound links to your website. In terms of how fast you can get a link from an online directory, most sites approve instantly. Those that do so manually won’t take longer than 48 hours for approval. It’s only in extreme cases that it will take up to a week before your site gets approved. This method is still the easiest (discounting blog commenting and forum posting) albeit, it’s also the one most prone to be misused. This is why you have to take careful consideration before deciding to submit your website to an online directory. For a complete list(okay, there can’t be a complete list) of online directories for business websites, you can read this article. You pretty much know that donating to a cause is an act of kindness, that attracts divine rewards. But you probably did not know that it can also attract inbound links, did you? The internet is littered with high PR websites dedicated to promote some movements or the other, and are in need of donation from people. In return, donors can get a link to their website from a PR 4 upward PR 8 site without the hassles attached to getting your site mentioned on an equivalent site through blogger outreach. We don’t have time to go into the intricate details of how to find which site to donate for, but I’ll just give you a simple line you can paste in Google to find sites that are offering free links in return for a donation. Head over to google.com and do a search for “”donate” + “get free link””. This will return a handful of sites that are willing to put up your link once you make a donation. Everyone knows that getting a backlink from a .edu site is as tough as finding a gold on the street of Miami, okay maybe not that tough. But Google loves .edu links, and anyone that knows its value would. Now, everyone that gets inbound links from these .edu sites usually do it the spammy way. Either by spamming .edu blogs with so much unrelated comments, or by posting on .edu forums that adds little to no value to their website. The approach I’m going to tell you about is different. I actually got this approach from Brian Dean of BackLinkco. Visit the Reditt for Hire section >> Advertise that you’re interested in hiring students to post on their .edu websites. >> Once you’ve gotten the desired amount of applicants, pay them about 25$ to create a blog on their .edu domain and link back to your site in it. You will be getting a lot of high quality followed .edu links by just using this approach. You’ll find that a whole bunch of Students and Staffs run their own .edu blogs. Most of these blogs are not so big, so they’re quickly impressed once they are mentioned on other places. Create a professional looking page and dedicate it to “Best ___ Bloggers Awards”. Since most of these bloggers don’t usually get a lot of mention in other places, unlike professional bloggers, there is a great chance they will blog about it and obviously give you tons of free backlinks. To increase your likelihood of getting a blogger to blog about the “award” on their .edu site, make sure that it is very specific and not something as generic as “best bloggers awards”. For example, you can create a “Best Maths Bloggers Awards”. You already know that companies use testimonials from their past clients to convince new ones that their service is worth paying for. But do you know that when you offer to share a story of how you enjoyed the service of a company, you can get benefits of your own too? When a website posts your testimonial, they will usually link back to your website just to prove to customers that the person sharing the testimonial is real. This is an opportunity for you, especially if the testimonial page has a high PR. How can you take advantage of this type of opportunity? If you use a product or service from a company that you enjoy (I strongly advice you go after start-ups, because big companies might not have your time), just offer to write a great success story about their product/service as a testimonial. They will be glad to put up your testimonials. What more, you do not need to ask them for a link to your site (but make sure they know you have one), as they will want to link back to you naturally just to prove that you are real. I believe that there are a bunch of new start-ups that are looking for genuine testimonials to put on their website, you just need to find the best ones for your niche. Press release is a powerful medium to gain a lot of backlinks to your website almost instantly. 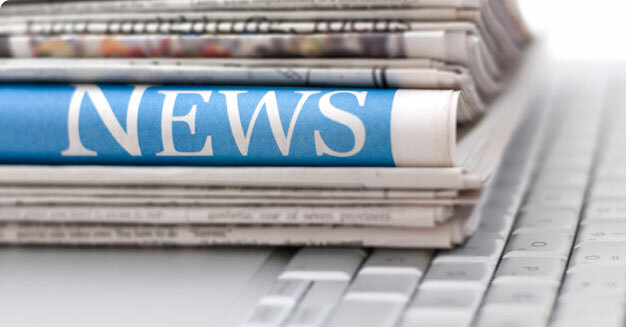 A press release can be about a NEWS WORTHY event that took place in your business that you want the world to know about. Remember the emphasis on news worthy. The only reason the idea of press release is constantly coming under fire is due to how people abuse it by over optimizing their titles for clicks and backlinks, and worst of all: the incongruent falsification of stories in the press release. The bottom line is if you can avoid doing any of the things that can make your press release look less true, then you’ve just found a perfect way to get inbound links. Covering a live event on your blog can also help you to get high authority sites to link back to you with grace. There are always one or two events that are worth covering in your niche. All you need to do is be present at the event, and pick one or two keynote speakers whose keynotes you’re going to cover. After the event, you can talk to the event manger about linking to your blog coverage of the event on their site, and just like that you’ve earned yourself a link from an authority site. For instance, SESconference.com dedicated a page that links to blogs that covered the SES New York 2013. That page (http://sesconference.com/newyork/#coverage) is a PR 6 page. 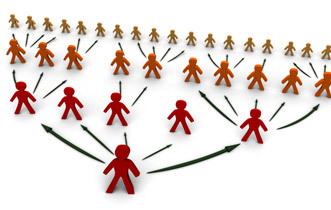 What other ways do you know about getting quick inbound links that are applicable for 2013? Share them with us in the comments. You want to know what PR pages all those backlinks are coming from. help for the creation of a loyal audience. websites that point back to your web site or money page. Not all links, even if they are quality, count toward the search engine rankings. You have posted a nice article to build inbound links quickly and some suggestions. Well and good. Thank you for the advice. Not that familiar on how blogs work; but Reddit could probably help.